Thanks to our LMEA Conference Program Sponsor! Quick Link to 2018 Professional Development Conference Information and Registration. The LMEA Fall Professional Development Conference has shaped into an expanse of offerings for every facet, every level, and every specialty in music education. The experience of our clinicians ranges from a few years to decades in the classroom and in the music business. You will find much to add to your bank of activities, philosophies, and methods. The location of our event is the Baton Rouge Crowne Plaza, November 15-19. Be sure to note dates for hotel reservations published in this issue of the Louisiana Musician. I encourage you to pre-register so that your name badge will be prepared for pick up when you arrive. The registration table will be located in the Hotel Atrium. For further information on our conference registration processes, please click on the link below. LOGIN IS REQUIRED FOR REGISTRATION BY LMEA MEMBERS: Enter the email that you use for your membership and a password of your choice. Not an LMEA member? We have non-member registration that does not require a login. You will receive the CLU certificate for professional development. District Directors will be on the ballot for voting in March 2019. Please submit you name if you are interested in running for this office on the LMEA board. Current District Directors, please submit your name if you intend to be included on the ballot. LMEA Fall Professional Development Conference, while we know the formal name, to our students it is All-State. Recently I received an inquiry about the first performances of our All-State ensembles. I knew that LMEA was incorporated in 1959, oddly enough, that is the year I was born. With the help of google I learned that in 1959 Clarence Sawhill was the clinician for the Louisiana All-State Band. The Louisiana All-State Choir clinician for that year was George Howerton. But were those the first All-State ensembles? While looking for that answer I learned that in the early days that the students selected for the All-State ensembles were selected from names nominated by their directors. Very different from the audition system our students complete today. I also learned that the band and orchestra alternated years with a choir every year. I believe our ensembles have grown far beyond what those early directors could have envisioned. To find the answer to the first Louisiana All-State ensembles I turned to our own Louisiana Musician Editor, Mr. Patrick Deaville. His research found that Sam Burns, our first State Supervisor of Music, organized and conducted the first All-State Choir in 1935. The first chairman for the All-State Band was Robert Gilmore (SLI, USL, ULL) in 1939. Norman Smith, Band Director at McNeese State) is credited as the first organizer of the All-State Orchestra in 1954. And the first All-State Jazz Ensemble (Stage Band) was in 1977 with Frank Mannino (Holy Cross High School) as chairman. 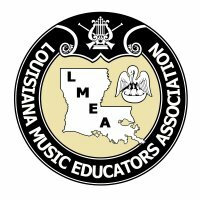 These gentlemen have all been deservedly recognized for their contributions to Music Education in Louisiana with their induction in the LMEA Hall of Fame. As you attend our Professional Development Conference I hope you take a moment to appreciate where we started and how far we have come. In an educational climate where many other concerns seem to take precedence over music education our students are still thriving and our commitment to them is strong. Thank you for all you do and I look forward to seeing you soon. A total of 56 clinics will be presented: nineteen clinics for Elementary and Vocal Divisions, nineteen clinics for the Band, Jazz and Orchestra Divisions, fourteen clinics for Collegiate NAfME Division/General Sessions. There will also be fourteen Research Poster Presentations, nineteen business meetings/luncheons for organizations and divisions, and thirty-seven exhibits by vendors/colleges. A total of 10 major concert performances: six all-state concerts plus four guest performances by the University of Lafayette at Louisiana music ensembles. The Central Middle School Band will serve as a demonstration band for a clinic featuring Katie Codina. The LAJE Reading Band will also be on hand. Robin A. Daigle is a native of Thibodaux, LA, and a graduate of Thibodaux High School. She received the Bachelor of Music Education Degree from the University of Southwestern Louisiana in 1981 and recently retired after serving 34 years in the field of music education. Ms. Daigle has taught band at Eunice High School, Armstrong Middle, Lafayette Middle School, and Edgar Martin Middle School. At Edgar Martin, where she finished her teaching career, there were over 400 students enrolled in the band program. Throughout her teaching career Ms. Daigle’s symphonic and jazz bands competed in and out of state and consistently received superior ratings at Louisiana district and state band festivals. Ms. Daigle spent her final years in education as the music instructional coach for the Lafayette Parish School system. She continues to serve as a clinician and adjudicator throughout the state and serves as director of the Lafayette Music Summer Band Camp. Ms. Daigle has served on various state and national music committees and has co-authored a handbook for new instrumental music teachers just entering the field of music education. She has held board positions for several professional organizations, including LMEA, where she served as District III Director, and Southwest Louisiana Band Directors Association, where she held the position of President for over six years. Additionally, Ms. Daigle performs professionally in the Lafayette area, playing lead trumpet with the Skyliners Big Band and the Acadian Wind Symphony. Robin’s contribution and guidance through her presence on state and local education boards is noted and valued by all. Her desire to be a good role model for students has been infectious to new teachers as well as experienced ones. Dr. David Karl Carpenter is the Principal of Pineville High School in Pineville, Louisiana. Prior to his appointment as Principal at Pineville High School, Mr. Carpenter served in a variety of administrative positions, including assignments as an Assistant Principal at Tioga High School and as Principal at Carter C. Raymond Middle School. He served as a band director at Oberlin High School, Winnfield High School, and Tioga High School prior to his entry into administration. He has been an instructor on the faculties at Louisiana College and Northwestern State University. Mr. Carpenter was also appointed to membership on the LDOE Accountability Commission and High School Redesign Commission. During his years as a professional educator, Dr. Carpenter has received many accolades to include the Louisiana All-Star Band Director of the Year, Northwestern Alumni Band Director of the Year, Presidency of LMEA, and selection into the LMEA Hall of Fame. He has also been a finalist for the Louisiana State Principal of the Year award and was selected to the Rapides Parish Hall of Fame. Dr. Carpenter represents the best in Louisiana administrators. He possesses a visionary philosophy that places a high priority on both academic achievement and student engagement in music and the arts. His innovative and unique scheduling techniques have enabled his schools to achieve high academic standards while giving tremendous support to the arts. While fulfilling his many administrative roles at Pineville High School, he has long been an advocate for the cause of music education. His tireless work with School Board members, community leaders, parents, and students has helped to create a school-wide environment where people work together for the good of the entire school and individual music programs. Germaine Bazzle and Troy Davis have been selected for induction to the Louisiana Association of Jazz Educators Hall of Fame in 2018. The award ceremony takes place preceding the LMEA All-State Jazz Ensemble performance at the annual LMEA State Music Conference. The public is invited to attend along with friends and families of the administrator. One of the true legends of New Orleans jazz, Germaine Potter Bazzle has been under-recognized nationally and internationally through her entire career. On par with R&B queen Irma Thomas, her voice in jazz is as distinctive as any, with a sweet soul to match. Her exploits singing in the Seventh Ward are unmatched, but she has been known primarily as a teacher. Influenced by the greats like Sarah Vaughan, Ella Fitzgerald, and Billy Eckstein, she took on a repertoire of classic jazz, American popular songs, show tunes, and the music of Duke Ellington. Sounds of the church were never far behind, and she sang regularly on Sundays with the Saint Louis Catholic Choir. A graduate of Xavier University, Bazzle chose to stay at home, instructing mostly young girls in choir and music appreciation at Xavier Prep. Her limited discography has her included on the compilation “New” New Orleans Music: Vocal Jazz and her live document, Standing Ovation. In 2007 she was part of the faculty at the Louis Armstrong Jazz Camp, along with other Crescent City music icons, in particular Edward "Kidd" Jordan." From 2000-2008, Troy Davis taught at The University of New Orleans. In 2008, Davis begin teaching in the East Baton Rouge Talented Music Program. While teaching in EBR, Davis also taught as an adjunct instructor at Louisiana State University. Over the past 18 years, Davis has taught drummers from the junior high school level through college. Throughout those years, Davis’s students consistently made the All Parish and All State jazz bands. Many of them went on to become professional drummers. Three young music educators have been recognized for outstanding merit in music education. To qualify for this honor educators must have taught no more than 5 years and have served their students, communities and profession in an exemplary manner. The nominee must have enthusiasm for teaching, love for music, and a desire to further the musical education of his or her students. This year’s recipients are: Christopher Williams, Band Director at Destrahan High School; Alyssa Carranza, Choir Director and Piano Teacher at Fontainebleau Jr. High School; and Carlye Latas, Assistant Band Director at Denham Springs High School. This is the seventh year for recognition of the young and very talented educators in the state of Louisiana. The “Outstanding Young Music Educator Award” will be presented to these recipients during the LMEA conference in November. Quick Link to 2018 Outstanding Young Educator Nomination Form and Information.